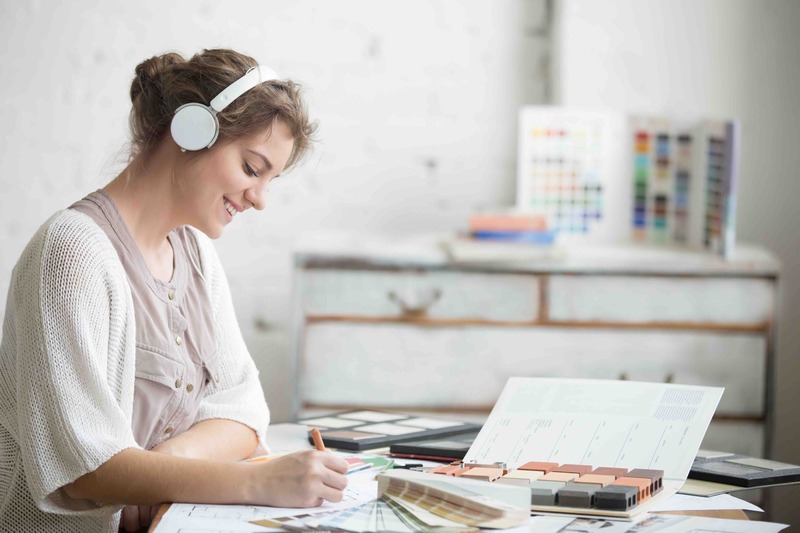 Using music to boost creativity: the topic continues to enthrall both scientists and indeed anyone who is easily distracted. The “Mozart Effect,” a popularized and researched hypothesis that suggests listening to Mozart can make you smarter, has been well and truly debunked. It turned out that listening to Franz Schubert, or even reading Stephen King, produced similar effects on indicators of intelligence in the short-term. The positive results seen after listening to Mozart had probably as much to do with the state of mind that was encouraged while listening, as it did with the medium itself. The wandering state is our default brain mode—which is surprising, and rather a relief to hear, when it seems we have spent our entire lives being told to focus our creative energies rather than let them loose—and we can stay in that mode for a long time without feeling mentally exhausted. This not the case with the other main sort of brain activity: the “deep engagement” state. In this state, we are hyper-focused on a single task, tiring us out physically. Instead, “wandering mode” is essentially a free-time state for the brain where it is able to meander without the pressure to perform. Here’s where music fits in. Paradoxically, we are stressed out by the noise that does not sync with our brain: noise that, from all directions at home and at work, constantly demands our attention consciously or subconsciously. This noise does not contain pattern or flow that we can subliminally incorporate. So, what’s the right kind of music to help boost creativity? Preference is actually, after all, a good guide in music choices for accompanying creative tasks—as long as it’s not rock, which is, apparently, a red-flag to the brain because it commonly contains artistic off-beat playing that disturbs that deep-brain flow. A general rule of thumb: if it stresses you out normally, it’s obviously going to stress you out when you want to work. Generally, medium-tempo is better, but without too forceful a beat. If words are involved, it must be music you know. Aspects that particularly jar (like some more expansive jazz I could think of, or indeed those pesky rockers) will, as expected, distract. Additionally, volume is key: the ideal is 70dB, roughly the sound of normal speech at three feet. Loud enough to have an effect, but not too loud as to be disturbing. Pretty simple. Loscil—Solo ambient-music project from “Canadian Destroyer” drummer Scott Morgan. See: “Coast/Range/Arc” (2011) and “Monument Builders” (2016). Tycho—Upbeat electronica from Californian artist who often combines visuals with music in live shows. See: “Awake” (2014) and “Epoch” (2016). Pan-American—Ambient/post-rock music electronic music. See: “Cloud Room, Glass Room” (2013). Mountains—Brooklyn-based drone duo originally from Chicago. See: “Choral” (2009). Floating Points—Ambient and electronic music from Manchester-based Sam Shepherd. See: Debut album “Elaenia,” released in 2015. Four Tet—Acclaimed, genre-defying British electronic artist Kieran Hebden. See: “Rounds” (2003) and “New Energy” (2017). Talk Talk—80’s eclectic English post-rock. See: “Spirit of Eden” (1988). Jon Hopkins—Expansive electro artist and producer from London. See: “Immunity” (2013). And lastly, we come to “binaural beats.” Not an artist, but another theory of how sound can be used. The concept requires headphones and relies on two sounds (hence the name) played simultaneously—a different one in each ear. You can even use them alongside other music. There is a scant amount of conclusive evidence in existence regarding this practice but I can attest to having found some of the YouTube material useful. Silence may have interested a ‘60s Midas, but it turns out ambient noise is in fact golden. Music—it’s the best, there’s no doubt about it. Did you know that learning an instrument does more than just make you look cool? Yep, here’s why you should learn to play one ASAP.